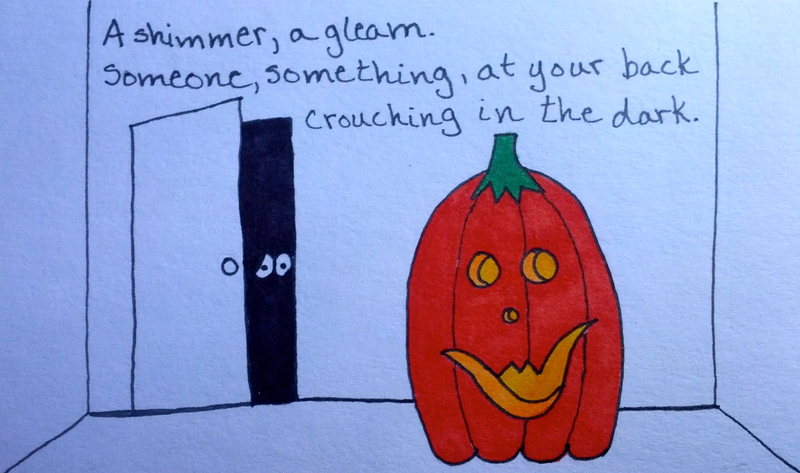 Another happy jack-o-lantern with a haiku! 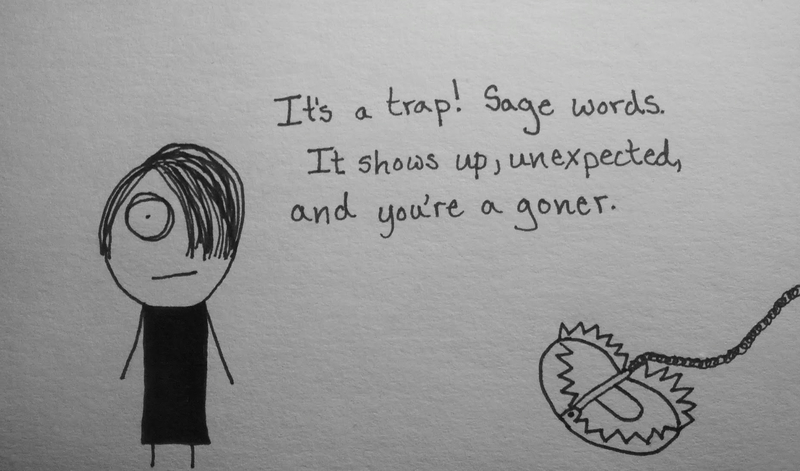 Followed by a less happy emo kid also with a haiku… and a bear trap. Want to see the whole story/image prompt? It’s right here! It’s a trap! Sage words.